What do you picture when you hear the phrase “Collaboration Beer”? Do you think of a specific brew? Works of Love by Hill Farmstead and SARA (among others). Sierra Nevada’s Beer Camp series? Stone Farking Wheaton w00tstout, the Imperial stout brewed by Stone founder Greg Koch & friends? Or do you picture the brew day scene: a hot, crowded brewhouse with brewers pouring over spreadsheets and notes, making sure their wort hits the target gravity? Turns out…not so much. While all the brewers came together for the brew day, one man was in control of the process from the beginning. “Imagine inviting guests over to your house for dinner and then handing them the keys…or, pots and pans…and giving them free-reign in your kitchen,” Exile Head Brewer Joey Hansen tells me, host of this year’s Des Moines Beer Week Collaboration Beer brew day. For the most part, that input came via e-mail. The first decision: what beer should be brewed for this year’s collaboration? 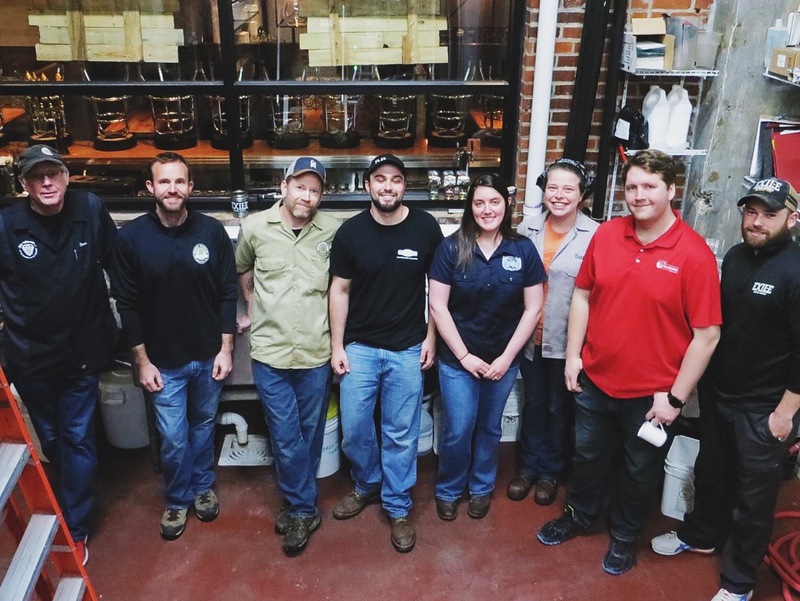 While the idea of brewing sours (Exile’s specialty of late), brown ales, and saisons were all tossed around, the DSM brewers determined quite early in the process to make another Pale Ale, thanks in in part to the success of last year’s Collaboration. However, in an effort to keep things interesting, they collectively decided to give this year’s iteration a southern (hemisphere) twist: only hops from Australia and New Zeeland were used in the recipe, which should give this brew a decidedly fruity/tropical edge. Last year, the collaboration beer was sold on draft and in 32 oz. growlers (which makes sense, as the packaging matches Confluence’s distribution format). Look for this year’s collab on draft and in 6-packs wherever Exile beers are sold throughout the metro. Look for the 2016 Collab (called High Tide) to hit shelves June 17th, and then make sure grab it quickly…like last year, once it’s gone it isn’t coming back. Trying to arrange over a dozen schedules of each independent brewer across Des Moines is as hard as it sounds. 5:30AM is an early brew day for anyone, but to brew a double batch (30 BBL each) of High Tide while still maintaining Exile’s schedule, Joey had already mashed in by the time most brewers began to arrive. As the mash continued to steep and the drowsiness wore off, the fun really started: the coffee kicked, the beers and breakfast stouts started flowing, and soon a lively meet-and-greet was in full affect. While some brought with them a few key ingredients to contribute, others came out for this one time chance to be a part of something bigger. So no matter how early, when the opportunity finally arrived, nobody wanted to miss out. Think about it. Fourteen independent brewers…competitors, when it comes down to it…each killing it in their own right, brought together for a common purpose: making the craft beer scene in Des Moines better. A product that’s greater than the sum of its parts. A movement everyone is proud to be a part of. In essence, it’s what makes the world of craft beer so great. Calling all home brewers: excited for this year’s release, but can’t wait until June 17th to try it? Brew your own! The folks at the Iowa Brewer’s Guild were kind enough to share the basics of this year’s brew, so I thought it would fun to try and clone. And bonus: it helps getting everyone hyped for Des Moines Beer Week at the same time! Good luck, and don’t forget to tweet/Instagram your progress to me at @DSMBrewster, and hashtag #hightidehomebrew. And don’t forget, Des Moines Beer Week runs June 17-26th…see you out there! I’m a professional engineer by trade and have a passion for all things craft beer. I also dig home brewing, traveling, biking, and of course, our wonderful city which this blog is all about! Des Moines Foodster. 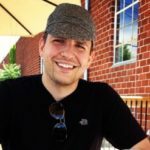 A local food blog highlighting the food, restaurants, craft breweries, events that make Des Moines the greatest city in the world!